The Sataya Reef is located in the southern Red Sea off Egypt. 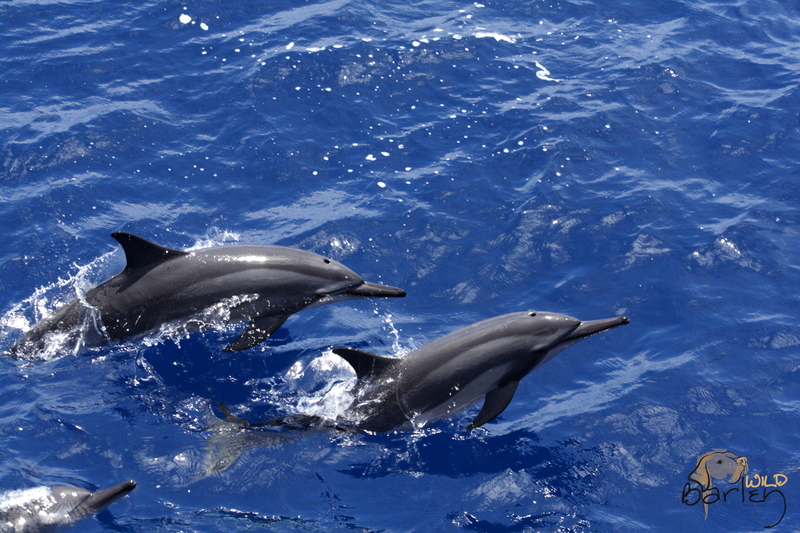 It is home to a large group of spinner dolphins that come here to rest and play during the day after spending the night hunting and foraging. Over the years WCA Partner Amanda Stafford from Dolphin and Whale Connection has spent much time at this remote reef. In previous years there was very little tourism here and any dive boats that stopped at the reef were respectful towards the dolphins as they conducted their diving activity. Things changed however, when Sataya was ‘discovered’ and easier access by bigger boats brought mass tourism. Over the years this has become the ‘nightmare’ scenario of an unregulated area in an important dolphin habitat. Amanda was shocked and saddened to see zodiacs buzzing around like mosquitos, corralling dolphins, dropping swimmers on top of sleeping dolphins, and general mayhem. Larger, live aboard boats entered the fray and snorkelers would pop up in front of them looking bemused. It was an accident waiting to happen. And it was heart breaking to see the impact on the dolphins. Amanda, along with others longed for a solution. Those driving for change spoke with the authorities about implementing a system of regulation as has been successful on other reefs, but were always told it was not possible due to its shape. However, recently a dedicated research team from the Port Said University has studied the dolphin’s behaviour and resting patterns and have identified a solution. 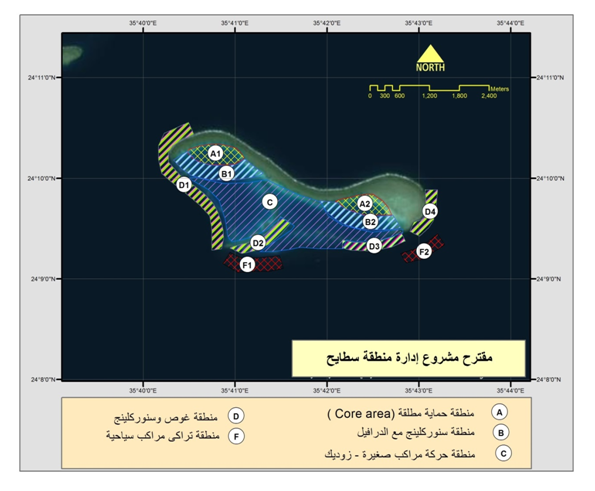 HEPCA (Hurghada Environmental Protection & Conservation Association), an NGO specialising in the conservation of the Egyptian Red Sea, and the Egyptian Ministry of the Environment, have been working to implement a management plan for Sataya. The result is that the reef is now a marine park reserve with four main zones. Zones A1 and A2 are Absolute Protection Zones and are completely off-limits to all activities accept authorised scientific research. Zones B1 and B2 are Snorkelling Zones. Positioned adjacent to the Absolute Protection Zones, boat and dive activities are not permitted while snorkelling and scientific research are. Zone C is the Swimming and Snorkelling Zone where snorkelling, diving and scientific research are permitted. Small boats are also permitted in Zone C at a speed not exceeding 10 knots. Zone D is the Diving Zone and Zone F the Tourist Boat Anchorage Zone. Visitors must pay a tax which pays for the management of the zoning system and supervision by a park ranger to enforce the regulations and fine those breaking the rules. For Amanda and others who have asked for the protection of the reef as key habitat for the dolphins, it is a story of hope. The result will hopefully mean that people feel safe and protected within the reef, and that the ethos of respect and consideration will ensure the dolphins can live in peace. Any encounters should always be on the dolphin’s terms. When they are relaxed and curious encounters can be truly spellbinding. Amanda, and the WCA, commends the work of those who conducted the research and revealed this solution, and to those who put forward the proposals. We also commend the Egyptian Authorities for protecting the marine life in the Red Sea and preserving a part of their marine heritage for future generations.